The Spanish Port Authority has joined a blockchain platform which is developed by IBM and Maersk, local news outlets have reported. Spains Port Authority of the Bay of Algeciras (APBA) recently revealed that it would be working with computing giants IBM and shipping leaders Maersk in order to develop a digital platform based on the blockchain. The agreement, which was signed on January 21st as reported by Europa Press, outlined that the APBA would be working with IBM's shipping platform TradeLens. The announcement marks another step forward for Spanish businesses and authorities, after SEAT, the state-owned auto manufacturer, revealed it has recently joined the Alastria Consortium to develop blockchain based products. Algeciras, which is one of the busiest ports in Europe, has up to 70 million tons of cargo traffic every year. In 2017 alone the port had more than 4.3 million containers pass through. "...the collaborative platform, launched at the beginning of 2018, will allow a more secure and efficient exchange of information and documentation, fostering collaboration and greater trust among the parties involved throughout the global supply chain." TradeLens had a very successful 2018, singing more than 40 worldwide ports and terminals as well as 100 organisations. The key statistics surrounding TradeLens is the fact has already registered 230 million shipments as well as processing over 20 million containers; highlighting the success of the platform. 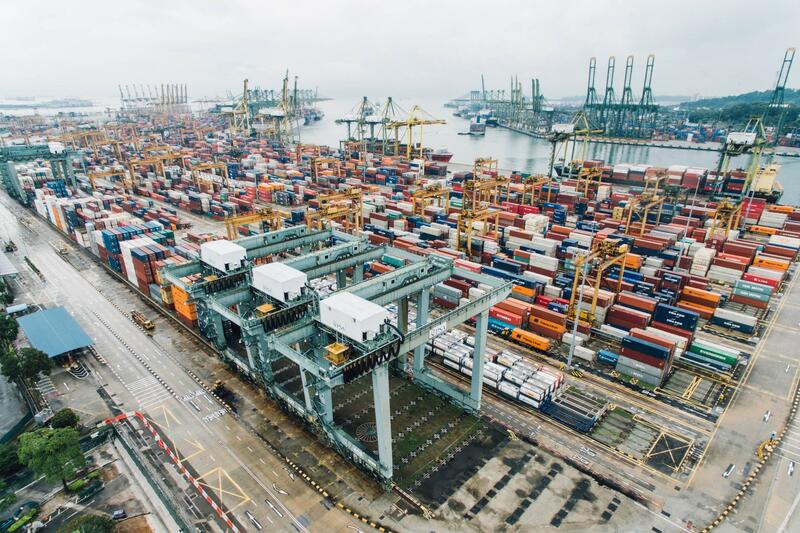 This is not the first time that the shipping industry has shown interest in adopting blockchain technology, with ports around the world looking to use blockchain. The Port of Rotterdam, Abu Dhabi and the Associated British Ports signed various agreements to develop and start utilising the technology.